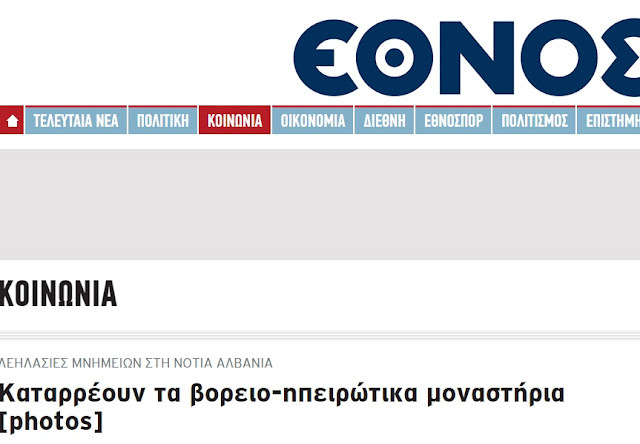 Greek media are speaking in a harsh language towards Albania, often using terms that express territorial claims of the Hellenistic state of South Albania. Through a very provocative title: "Colonization of the Epirus Monasteries of the North", the daily "Ethnos" raises the problem of the demolition of St. Athanasius monastery in Lower Lëshnica 6 km from the border of the Albanian state of 1912 with Greece. "Inside the monastery the walls were decorated with rare icons representing a cultural heritage, while in the northern part of the temple cells are built in which monks lived. Residents denounce that state institutions were aware some months ago that the 400-year-old object was in danger of collapse, but according to them, they preferred to keep it hidden due to the electoral campaign. 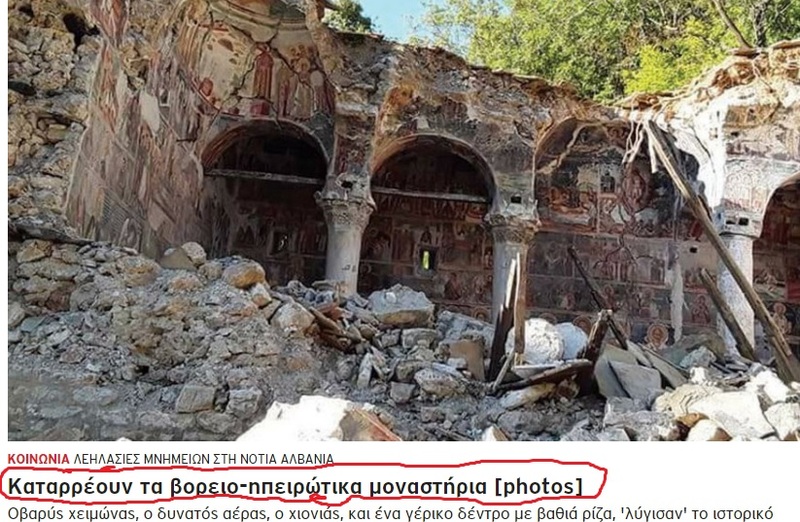 According to the inscription on the entrance of the monastery, the frescoes were painted by "Lazarus and his two students from Upper Soudena of Ioannina" (currently Ano Pedina). Until the 1930s, when were abandoned and by the last monk. St. Athanasius monastery served as a Central School and book linkage, there were two mills and lots of cells for the monks ", - writes" Ethnos".